Although often uncredited, Ned Lagin played keyboards at a number of the Grateful Dead's live shows between 1970 and 1975. His playing was especially prominent during the Summer and Fall, 1974 tours, when his synthesizer work was allocated its own set between the Grateful Dead's first and second sets. He also appears on the album American Beauty. He released an album entitled Seastones - Ned Lagin and Phil Lesh in 1975 on Round RX, which was recorded in SQ-Quad. 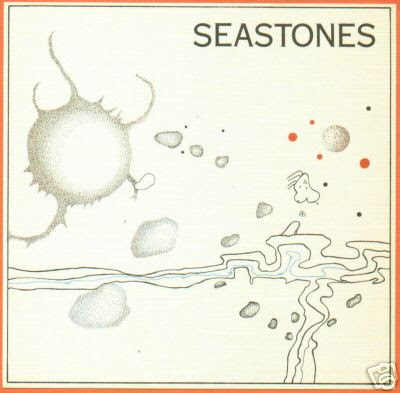 The album was re-released in stereo on CD as Seastones - Ned Lagin on Rykodisc in 1991. The CD includes the original nine-section "Sea Stones" (42:34) from February 1975, and a live, previously unreleased, six-section version (31:05) from December 1975. Lagin was a pioneer in the development and use in real-time stage and studio performance of minicomputers driving real time digital to analog converters, doing digital signal processing to generate music, in the era before digital synthesizers appeared on the market. SEASTONES explores the mystical connectedness and separateness of all things, inspired by the countless stones and pebbles cast upon the seashore. In the liner notes, Lagin describes the structure of his work: "Expressive musical materials (rhythms, pitches, notes, melodic fragments, harmonic clusters, chord patterns, sung and spoken words) were composed into a score of self-contained but musically connected 'moment-forms' or timescapes, in many ways metaphorically like the wild sea stones on the seashore." Using the most advanced electronic technology of the day, Lagin was nonetheless striving for organic expression. This expanded version features an unreleased 1975 performance of SEASTONES as well as the original studio version. Nw this is a very weird one!You won't believe your ears that a Grateful Dead member(not to mention other contributors) created such a great experimental electronic LP.Highly Recommended! There appears to be some gliches and sound dropouts on the first track (Dec. '75 version). Not sure if that's a problem with the encoding or what it is. thanks a lot for this! but, why wouldn't we believe a "Grateful Dead member created such a great experimental electronic LP"? Forget the 80s/90s image of the Dead, in the 60s and early 70s, they were doing nothing but experimenting... some of those '70/'71 shows are weird jazz/folk/country/rock combinations that are wholly unexpected. Don't sell them short! Especially Phil! Sorry to report, but the first track is riddled with digital pops and dropouts. Could you please re-do this one? Such a good album. Thanks. has this been fixed yet? I really wanna hear this!!! thanks in advance! is this website under construction ?? ?